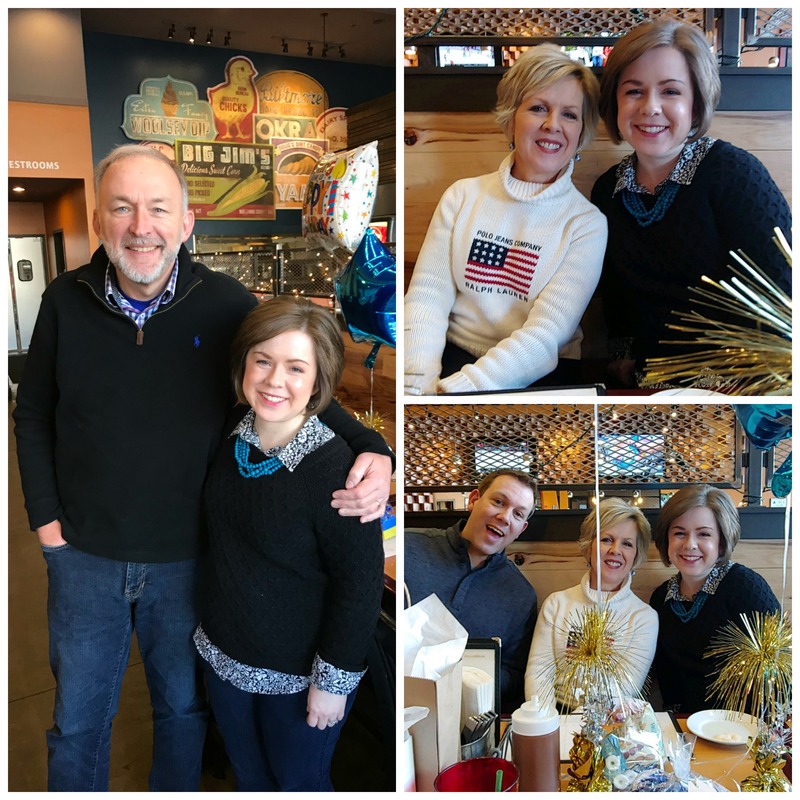 On Monday my whole family met in Asheville, North Carolina to celebrate my Dad’s 60th birthday! It was a really fun day – I hope you enjoy this post with all the fun details and pictures! We decided to go with a casual atmosphere that guaranteed good food, so we chose Luella’s Bar-B-Que in Biltmore Park. The staff was so accommodating and easy to work with! I called several weeks ahead to make sure they were okay with us taking over a section of the restaurant – since it was Monday at lunch they were more than happy to have us there. 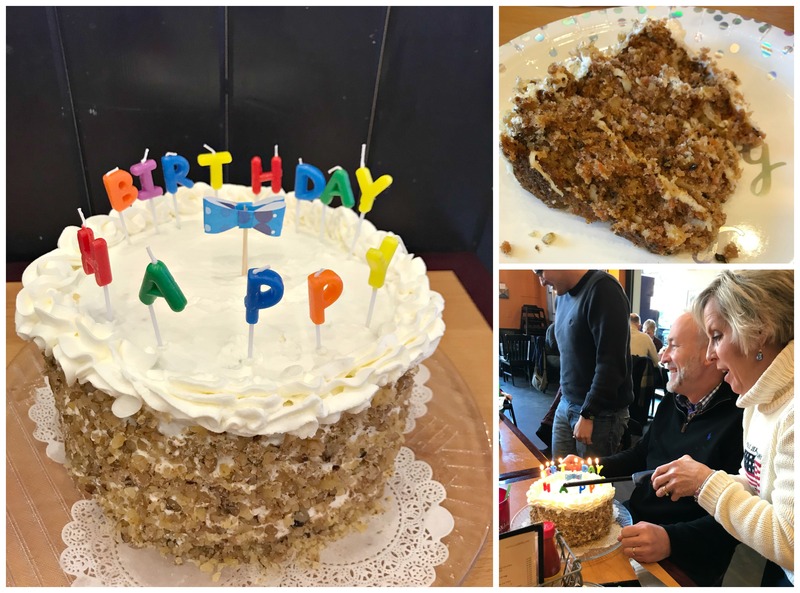 My Mom made one of her famous desserts – this time it was a show-stopping three-layer carrot cake. It was both spectacular and delicious! I set up the table with a few helium balloons (from Dollar Tree – they have a great selection) and placed a party favor at each person’s seat. For the party favors, I went with the theme of Dad’s favorite things. My Mom, sister and I all chose gifts to include in the bag that are things Dad loves. Everyone received a bag filled with a pair of crazy socks, flavored coffee, nuts, orange life savers and a handkerchief. 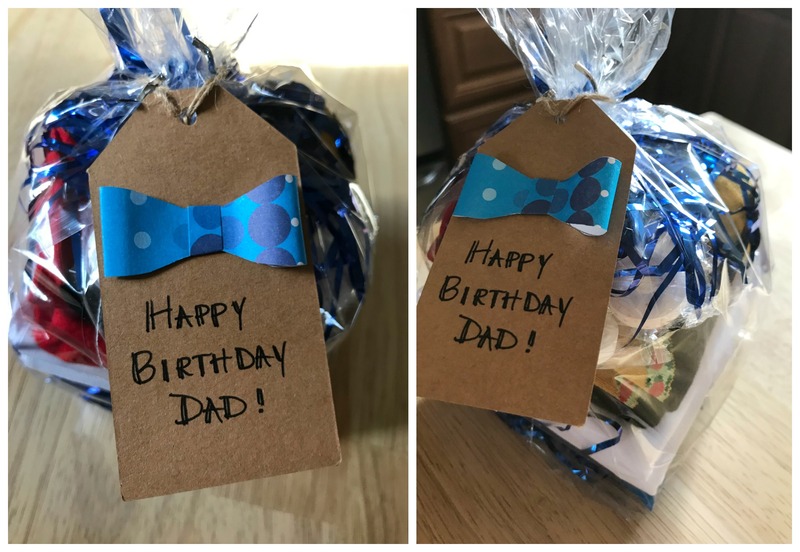 Bow ties are part of Dad’s signature style, so I made the gift tags using this template from Pinterest. My Dad is a very generous person and I thought it was fun to celebrate him with personalized party favors for all the guests! 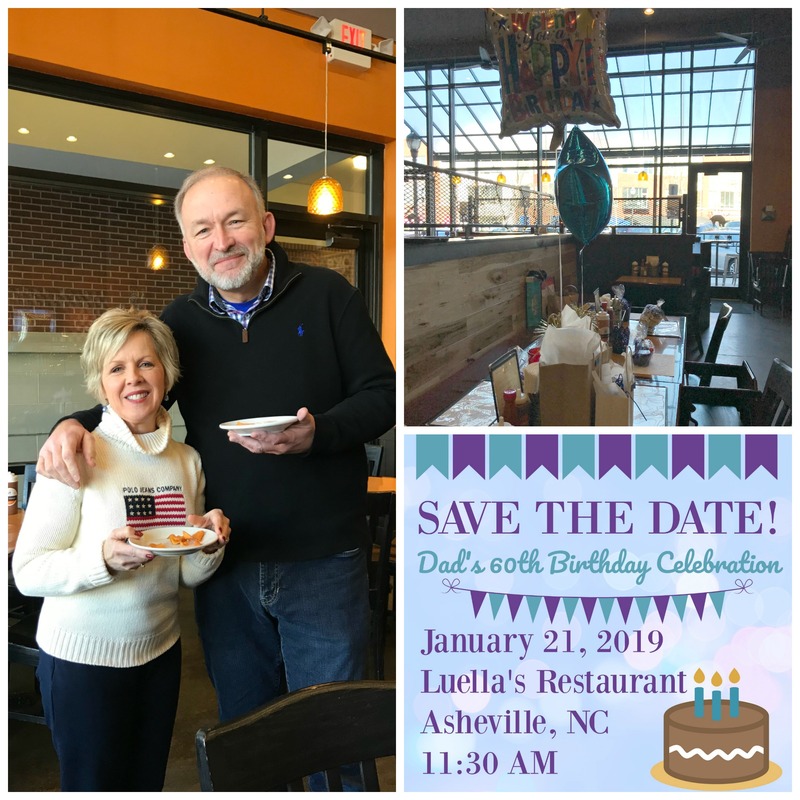 If you’re in the Asheville area, definitely check out Luella’s. The food was delicious! 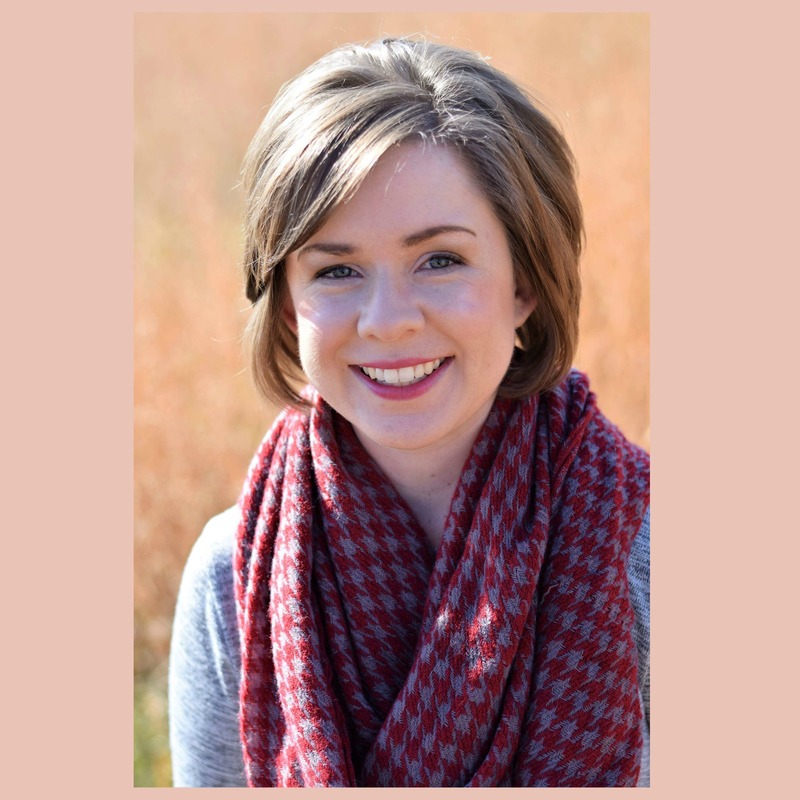 My whole family really was there – we took these family pictures at the beginning of the day. Once my sister and brother in law arrived with my nephews, I didn’t get too many more pictures! I wish I had a few more with my sister and her family – time just flies when we’re all together! After lunch we escaped the bitterly cold day at the Asheville mall. My family loves to shop (even my Dad! ), so it was the perfect place to hang out. I am really thankful that we all live close enough to meet up for the day – it’s a precious thing! 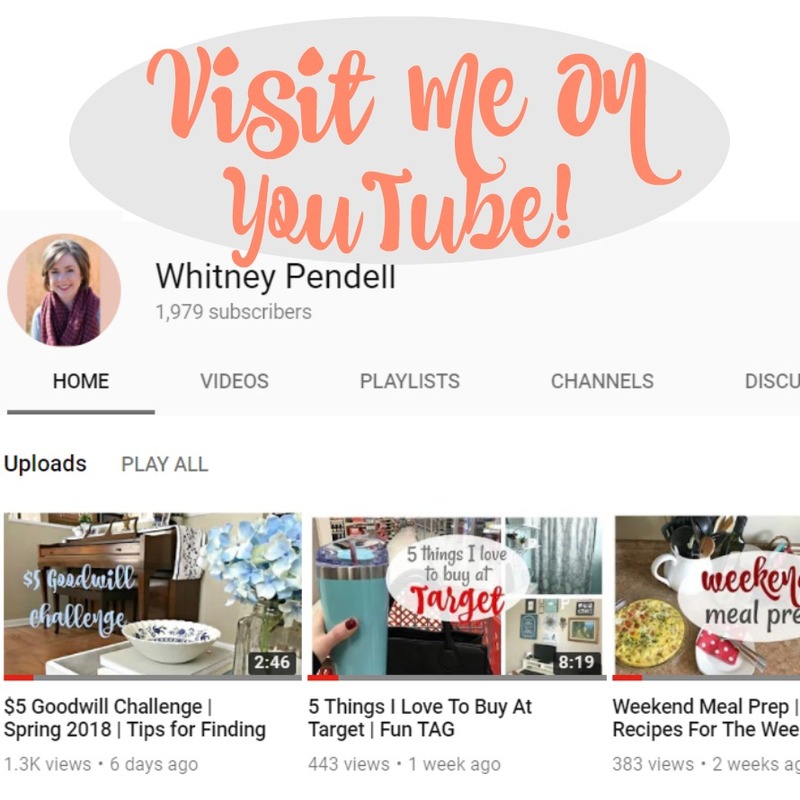 Tif from Bright on a Budget, Della at Della Devoted, Becky at BYBMG and Whitney J from Polka Dotty Place and I welcome you to High Five for Friday! A very nice party, Whitney. I am going to borrow your favor bag idea for my birthday coming up in a few weeks. Now I am thinking about what I will put in my bags. What a sweet party!! I’m sure your dad loved having all of his people together with all of his favorite things. Your favor bags turned out so cute. I love the bow ties and that carrot cake is amazing. You’ve got me thinking of how I can meet up with family or friends for a quick birthday gathering. Sometimes it feels like a lot to try and plan a whole weekend away. Yes! I’m like you – everyone else lives 2 hours away, so usually I just drive there. But it’s nice when we can meet in the middle. It’s nice for them to be able to feel like they’re getting away for a little adventure, too! Thank you, Whitney, for making this a very, very special day!! So much fun and a huge blessing!!! Love you!!! !